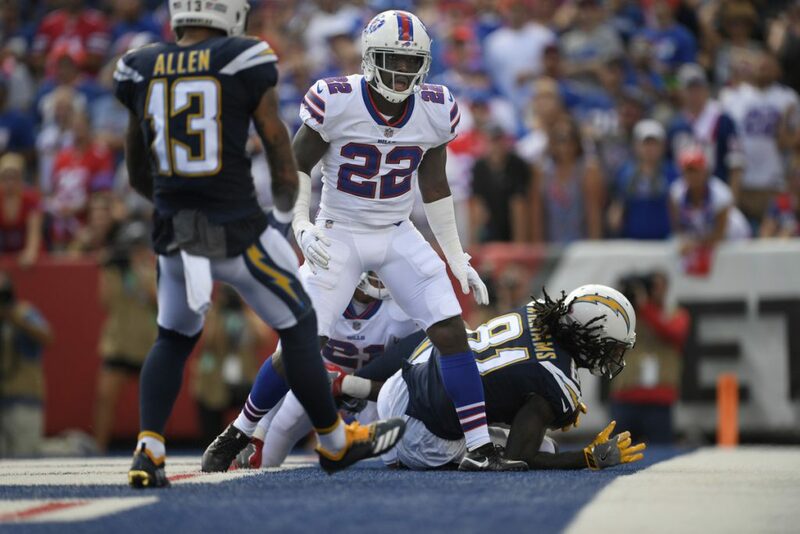 Buffalo Bills cornerback Vontae Davis, younger brother to Washington NFL star tight end Vernon Davis, shocked his entire team Sunday when he quit during halftime of the Bills’ matchup against the Los Angeles Chargers, telling teammates that he was retiring. According to reports, Davis, a 30-year-old two-time Pro Bowler, pulled himself out of the game just before halftime, and then informed Bills head coach Sean McDermott that he “was done,” choosing to retire at halftime, instead of finishing the game. “Pulled himself out of the game. He communicated to us that he was done,” McDermott told reporters, per Fox News. Davis later tweeted an explanation for his sudden retirement. The Washington, D.C. native mentioned how the mental and physical toll of fighting through injuries have worn on him, and how he didn’t want to sacrifice his health anymore. “Mentally, I always expect myself to play at a high level. But physically, I know today that isn’t possible, and I had an honest moment with myself… I also wondered: Do I want to keep sacrificing?” Davis wrote. But while Davis said in his Twitter statement that he meant no disrespect to his teammates, Bills linebacker Lorenzo Alexander told reporters that he still felt highly disrespected. Alexander was actually the first person to break news to the media of Davis’ sudden departure.